The M1s enjoyed a good win on the road at Teddington coming out 4-2 to the good. The first ten minutes were all Teddington as Matt Daly opened the scoring in the fourth minute with a well taken tomahawk, before getting his second five minutes later from a penalty corner. This seemed to stir the Southgate team into action as they finally began to play their normal assured game. Alex Williams got Southgate’s first goal in the twenty second minute, picking the ball up outside the 23, he drove strongly into the circle where he was challenged and briefly lost the ball before spinning with his back to David Kettle in the Teddington goal and slotting the ball home. Southgate’s second came from a John Sterlini penalty stroke after Teddington were penalised for a back stick defending a penalty corner, so it was all square at 2-2 going into the break. Southgate picked up where they left off in the second half with a strong defensive performance denying Teddington any real chances, while David Kettle was kept busy at the other end. Simeon Bird put Southgate into the lead in the thirty ninth minute with a sweetly struck volley as the ball came across from the right wing. There were then a number of chances for Southgate to extend their lead, but Kettle kept Teddington in the match notably saving from Ferrini and a second penalty stroke from John Sterlini. With Teddington going to a kicking back in the final three minutes, Bird got his brace in the last minute making the score 4-2 to the visitors. 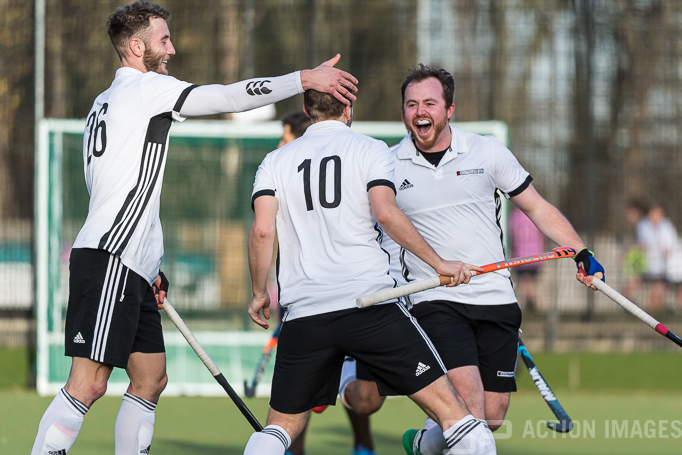 The M1s play second placed Oxted at home on Sunday in their last match before the Xmas break.